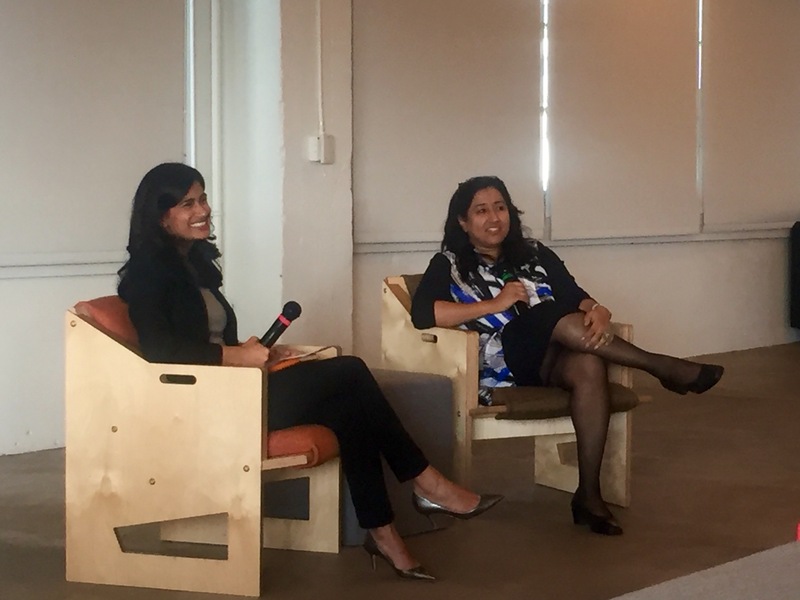 Last week, Airbnb was thrilled to welcome Tina Garg, a mentee participating in the U.S. State Department/Fortune Magazine Global Women’s Mentoring Partnership, to San Francisco. The program pairs talented and emerging business women from all over the world with members of Fortune’s Most Powerful Women’s Network. 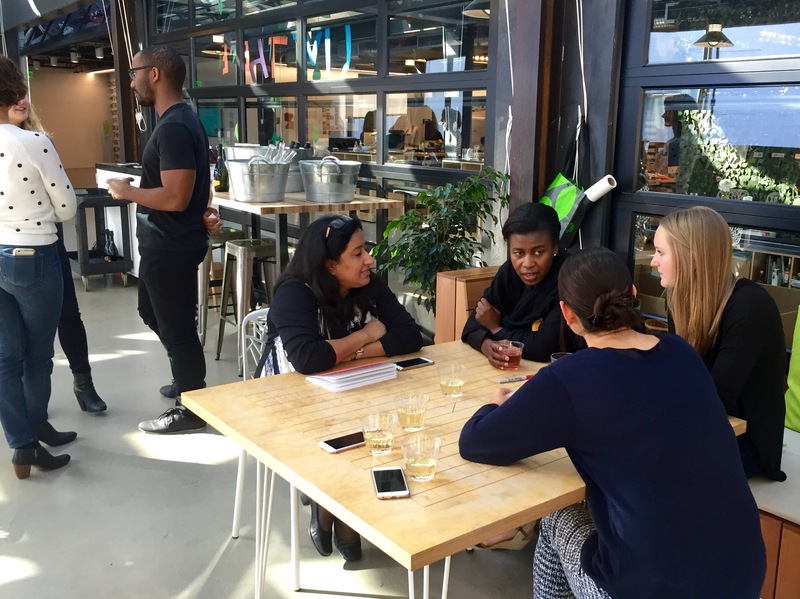 Over the course of two weeks, Tina will have the opportunity to spend time with her Airbnb executive mentors, Belinda Johnson and Varsha Rao, to develop management skills and learn more from their expertise and business experience. Tina is also spending time with many other Airbnb employees, and we are learning a great deal from her! Tina comes to us from Bangalore, India where she is the founder and CEO of Pink Lemonade, a communications and marketing agency in India. Tina is an incredible example of someone rising to the top of the tech workspace in India, roles which are traditionally held by men. Tina’s company has grown steadily every year and today boasts an enviable client list ranging from some of the biggest multinational companies to government agencies. To give her a warm welcome, Women@, Airbnb’s internal employee resource group dedicated to creating a community where women can connect and learn from one another, hosted a Women in Leadership Q&A where Tina shared her story of what it’s been like to both start a company and be a mother in a country where stigmas can be very challenging for women who choose a career outside of the home. From individual mentoring and hiring women to work in her own company to supporting large scale events in India’s business community, Tina works every day to empower women and assist in their success in the workplace. Tina’s message of perseverance was inspiring for all attendees. Following the Q&A session, Women@ hosted our first happy hour gathering, bringing together women across various teams and functions to help us shape ideas around leadership and networking opportunities that will contribute to future of Women@. 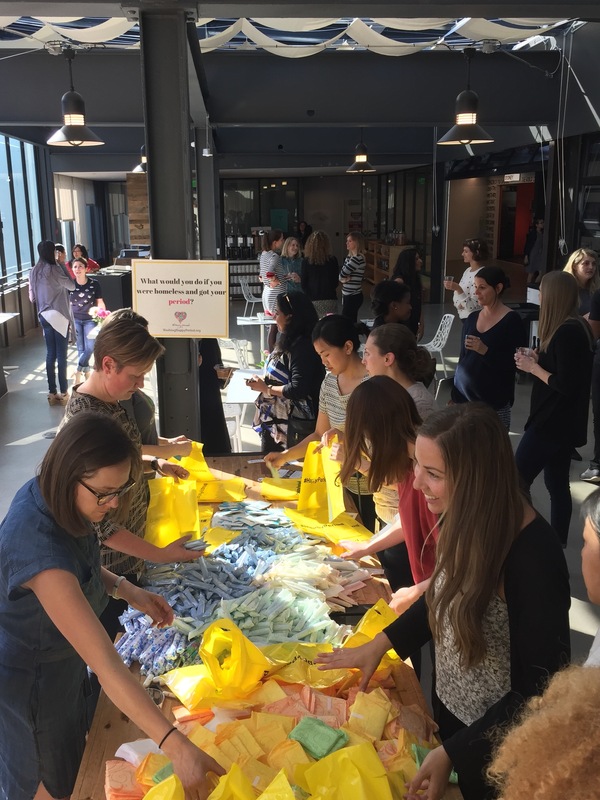 We were pleased that after our in-office donation drive, we were able to collect and donate over 100 feminine hygiene kits to Episcopal Community Services, a longstanding partner of Airbnb, and #HappyPeriod, a nonprofit dedicated to providing feminine hygiene products to women in need. Women@ looks forward to hosting more events like these where we can inspire and support women who are reaching for their goals in the workplace and beyond.